When For Certain Because (released as Stop Stop Stop in America) came out in 1966, most pop bands were determined to create music that went deeper than traditional songs about true love and heartache. 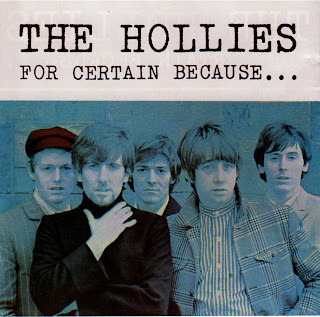 This development struck a chord with The Hollies, and For Certain Because became the first of three albums that found them at their most innovative and inspiring. 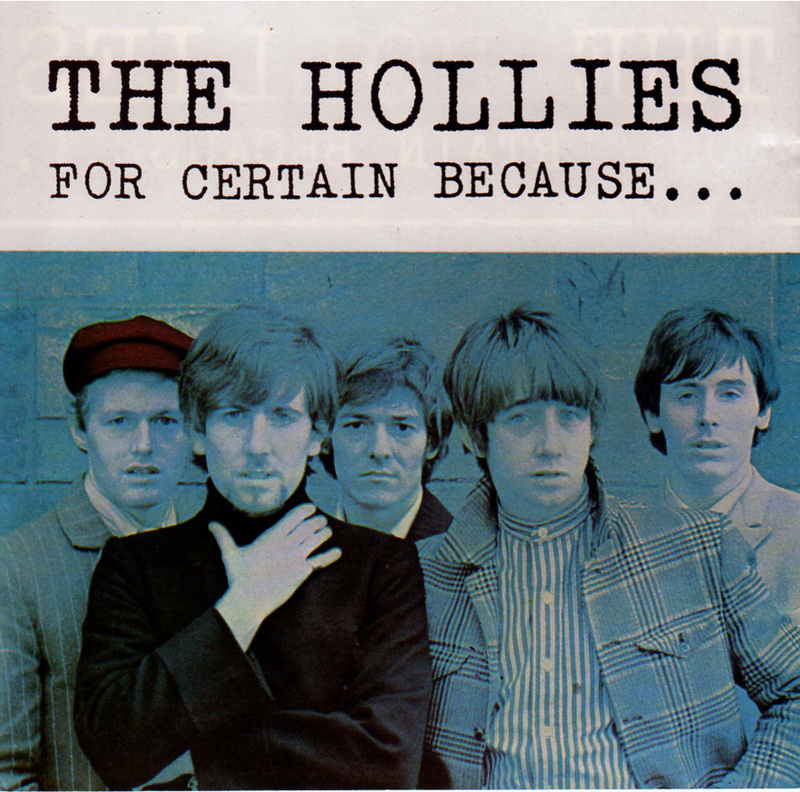 Band members Graham Nash, Allan Clarke, and Tony Hicks became adept at composing songs that retained The Hollies’ trademark harmonies and effervescent melodies, but placed them in new surroundings. Like Evolution and Butterfly, which followed shortly after, it was pretty much flawless. Even “Stop Stop Stop,” the Top 40 hit from For Certain Because, was an exotic mix of banjo, Middle Eastern rhythms, and plain old lust. The LP's second single, “Pay You Back With Interest,” was more low key, and dealt with the conflicted emotions of a globe-trotting musician who realizes he has a responsibility to his loved one at home. Nash's exquisite “Tell Me To My Face” was sheer pop perfection, and should have been a huge hit. A few other artists, including the single-named Keith, recorded their own versions of it. “Clown” and “Crusader,” also featured Nash on lead vocals, and were ambitious tales steeped in troubling emotions. “High Classed” mirrored Paul McCartney's fascination with vaudeville and music halls, and might have been dismissed by John Lennon as “granny music.” But it was still fun. “What Went Wrong,” with its rolling drums, was also fully orchestrated, but had a hip and high energy Swing vibe. “Peculiar Situation” and “It's You” sounded more like The Hollies fans were used to, but still explored complex relationships. The stinging lyrics of “Suspicious Look In Your Eyes,” along with Clarke's vocal inflections, seemed to show a definite Bob Dylan influence. Clark, Nash and Hicks sweetened the barbed sentiments with some angelic harmonies. The catchy “Don't Even Think About Changing” also had a hint of Dylan. “What's Wrong With The Way I Live” found Hicks once again flexing his newfound banjo skills while Clarke projected a defiant attitude. On For Certain Because, The Hollies had definitely started doing things their own way.